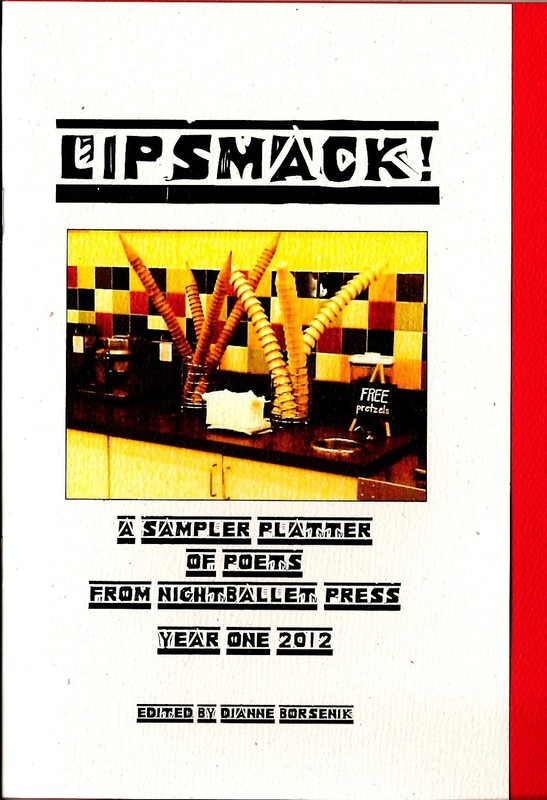 NightBallet Press announces the official publicaiton of an especially tasty treat: Lipsmack! A Sampler Platter of Poets from NightBallet Press, Year One 2012! 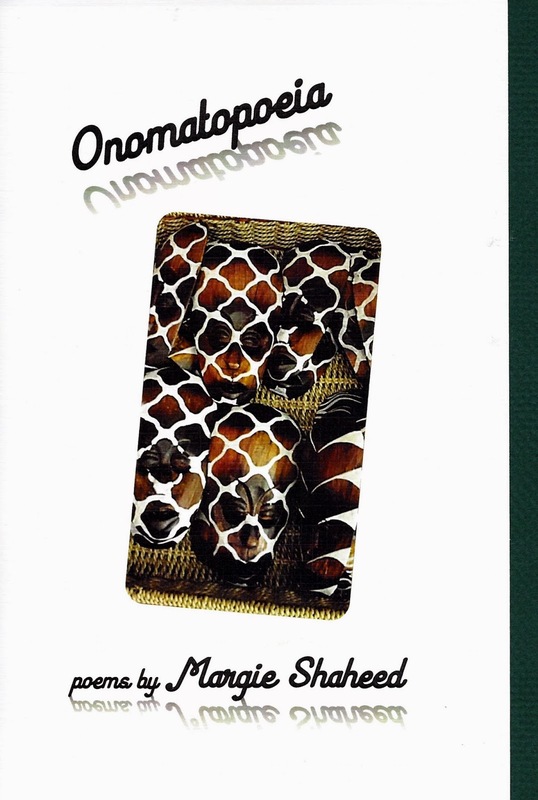 This delicious 36 page collection of poems celebrates NightBallet Press' first anniversary. 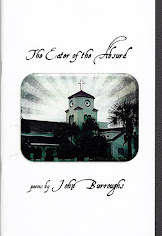 From September 2011 to September 2012, NightBallet Press published chapbooks and full-length poetry books for 18 different poets, and they are represented in this anthology by (98%) all new poems! 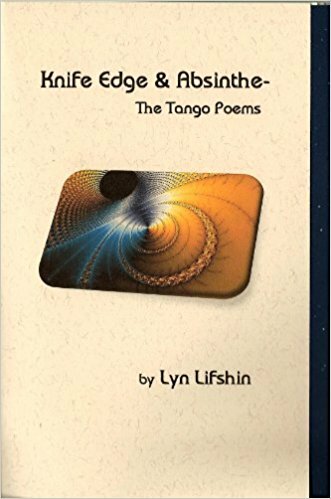 That's absolutely all new and exciting poems by Lyn Lifshin, John Dorsey, George Wallace, Jack McGuane, Chansonette Buck, Lady K (Kathy) Smith, Terry Provost, T. M. Göttl, Heather Ann Schmidt/Sukha-Prajna, Jim Lang, Steve Brightman, Elise Geither, Kara Johnston, Bonné de Blas, Alex Gildzen, and Russell Salamon! 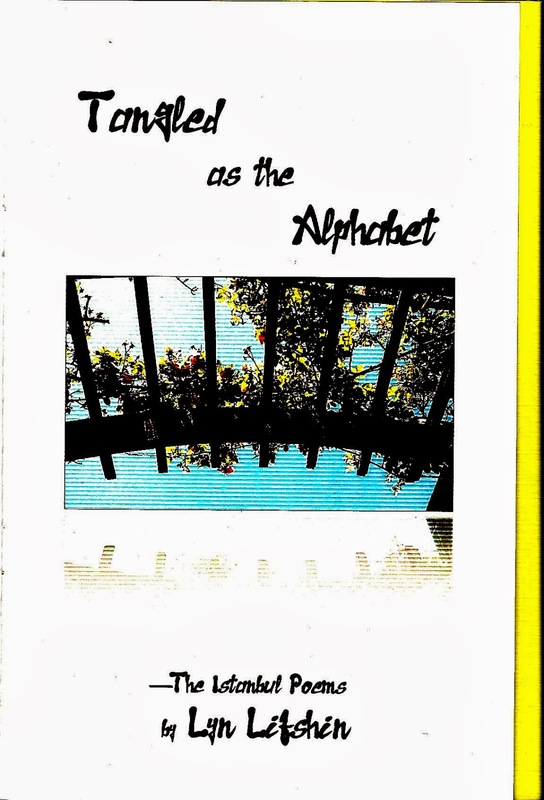 The only two poems that have been reprinted from the original chapbooks are by the excellent and dynamic performance poets Zach Ashley and Ralph La Charity, and are immediately and perfectly representative of their body of work. Lipsmack! 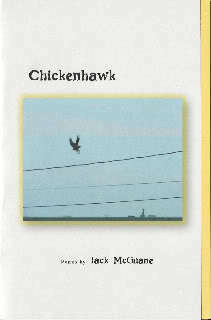 is designed to expose and make readily available the originality and variety of poetry that NightBallet Press presents through its unique and diverse writers. The yummy vanilla-colored pages are packaged in a soft white cardstock cover with a mouthwatering candy-apple cardstock insert. 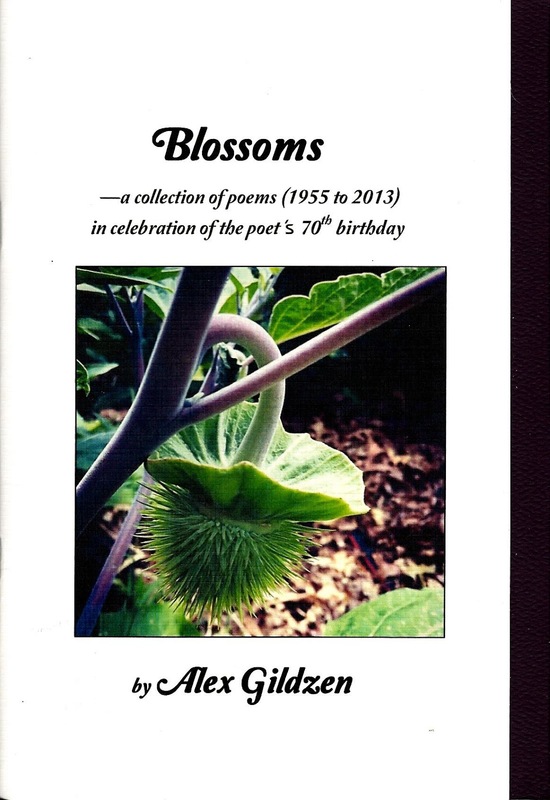 But the real treats are the lipsmacking poems contained within! 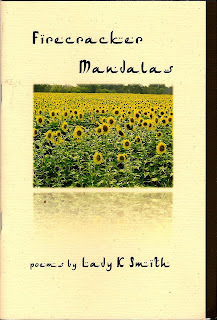 This anniversary anthology is only $5 plus $2 shipping/handling, and is available NOW. Be among the very first to sink your teeth into and sample Lipsmack! 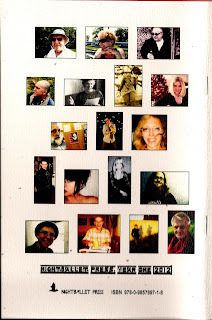 A Sampler Platter of Poets from NightBallet Press, Year One 2012. 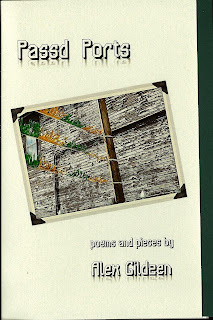 I promise... these poems will have you begging for more! Yesterday, Saturday September 29, 2012, was One Hundred Thousand Poets for Change day across the globe. And yesterday was the official publication date of Lipsmack! 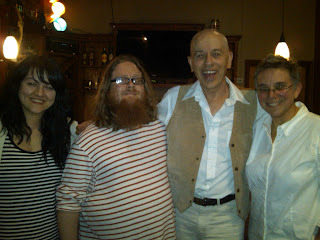 Yesterday was also the day that Cleveland poet and friend John Burroughs' webcam failed him at the 100K Poets for Change event at Visible Voice. 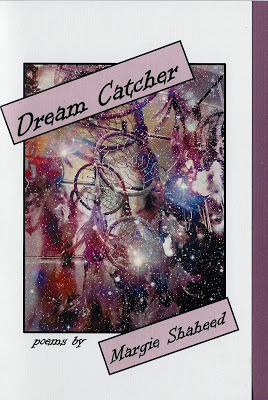 NightBallet knows synchronicity when she sees it, so we will be donating 100% of the proceeds from the sale of this book to the New Webcam For John Fund. For only $5 plus s/h, you'll be contributing to future juicy poetry webcasts by John Burroughs, AND you'll receive a book jammed with tasty poems! 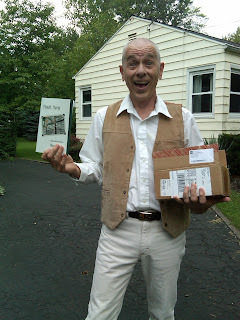 We are all enriched by the work John does in the poetry community, and we will all benefit from his webcasts... so order your copy of Lipsmack!today! Taking Pre-Orders for an Especially Tasty Treat! 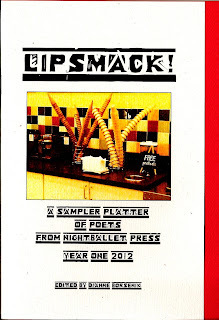 NightBallet Press is taking pre-orders for an especially tasty treat: Lipsmack! 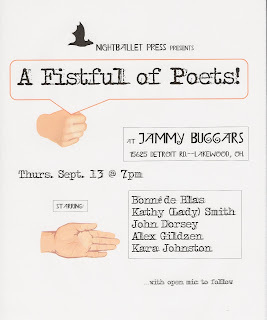 A Sampler Platter of Poets from NightBallet Press, Year One 2012! 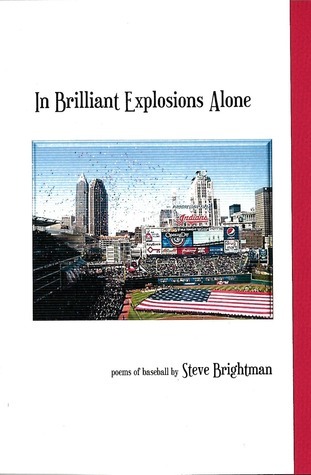 This delicious 36 page collection of poems celebrates NightBallet Press' first anniversary. 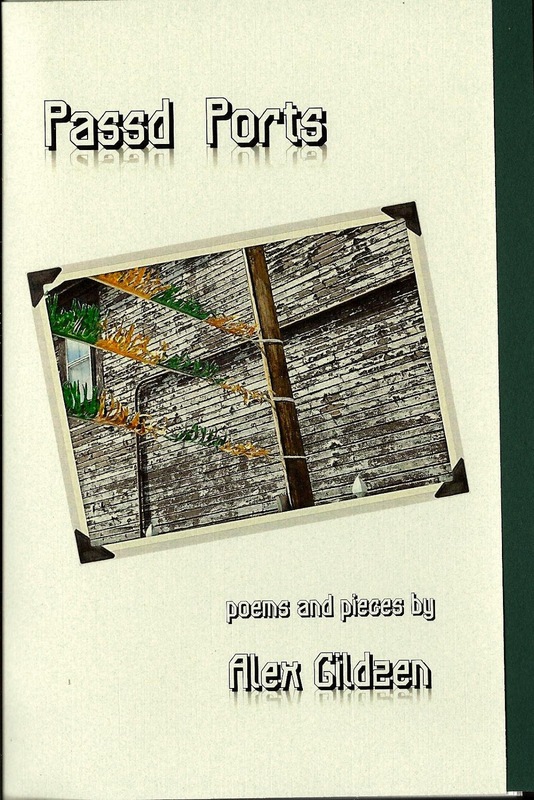 From September 2011 to September 2012, NightBallet Press published chapbooks and full-length poetry books for 18 different poets, and they are represented in this anthology by (98%) all new poems! This anniversary anthology is only $5 plus $2 shipping/handling, and will be available Saturday, September 29, 2012- the One Hundred Thousand Poets for Change day... but you can pre-order your copy NOW, to insure you won't miss out on this very special collection! Be among the very first to sink your teeth into and sample Lipsmack! 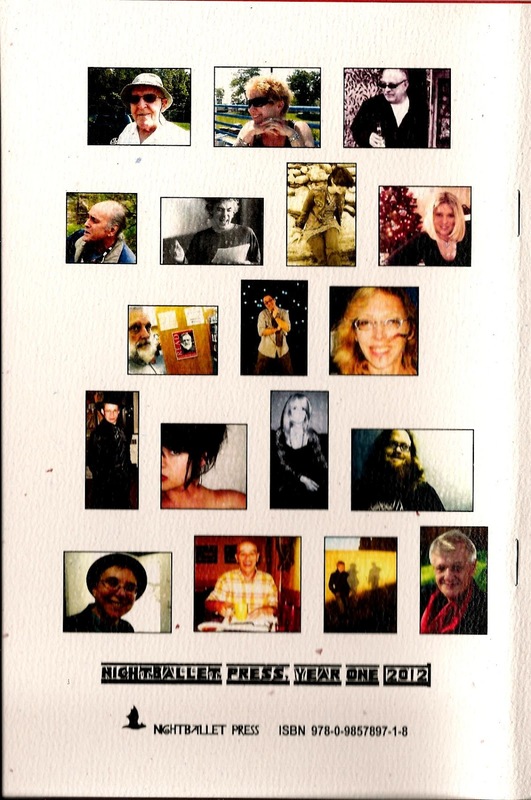 A Sampler Platter of Poets from NightBallet Press, Year One 2012. 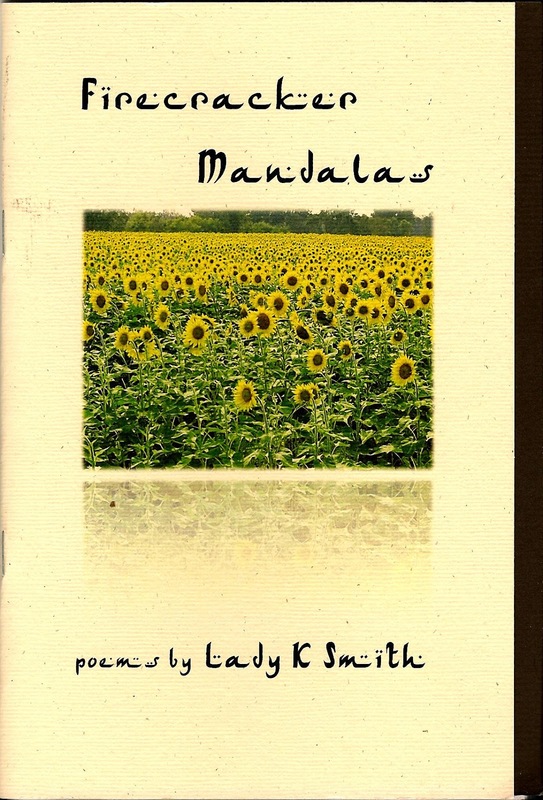 I promise... these poems will have you begging for more! 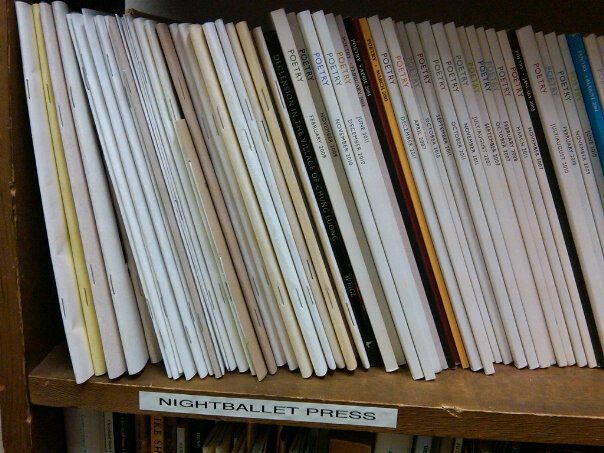 This has been an unprecedented week of wows here at NightBallet Press! 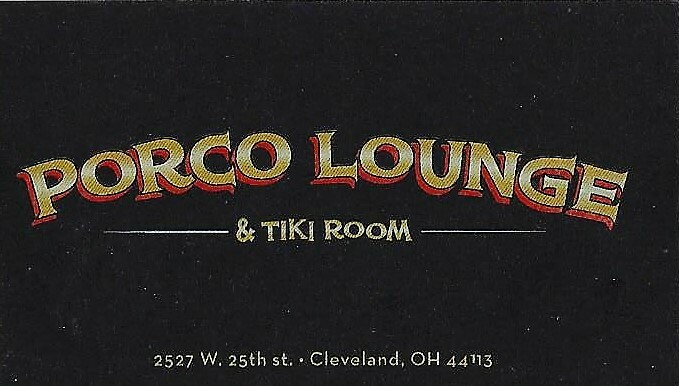 Starting off the week was a visit to Mac's Backs on Coventry in Cleveland Heights. 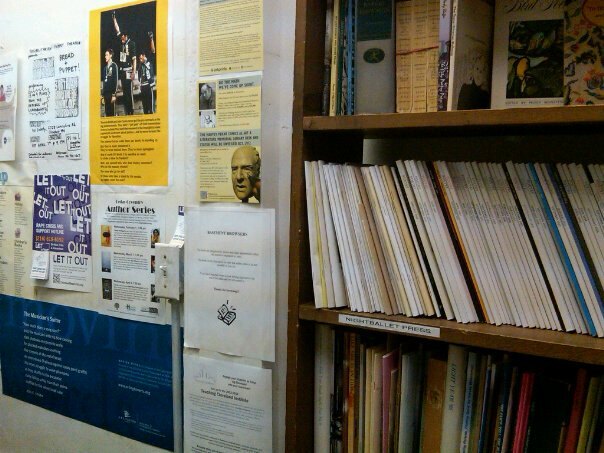 Mac's is a venerated and beloved independent bookstore owned by Suzanne DeGaetano, and has one of the best (if not THE best) collections of poetry books for sale in this region. 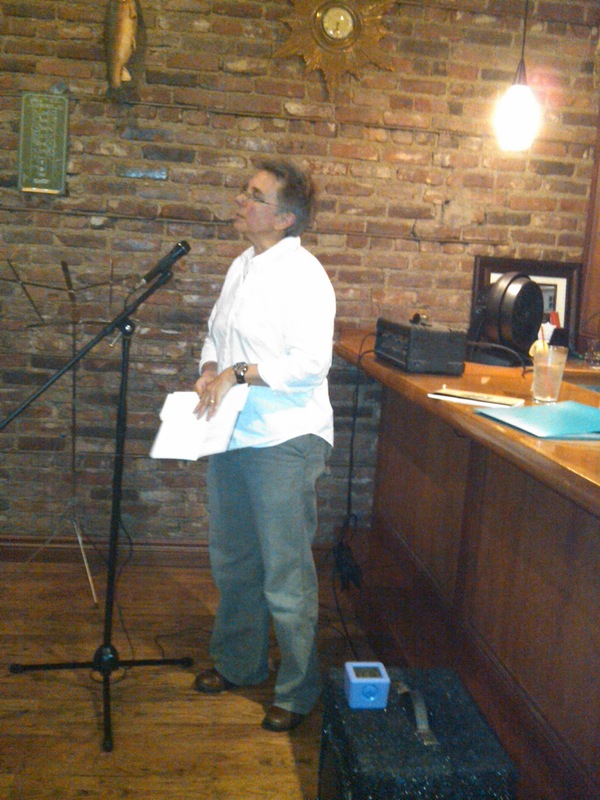 Suzanne has been very supportive of poets over the years, and hosts her own second Wednesday reading series every month. 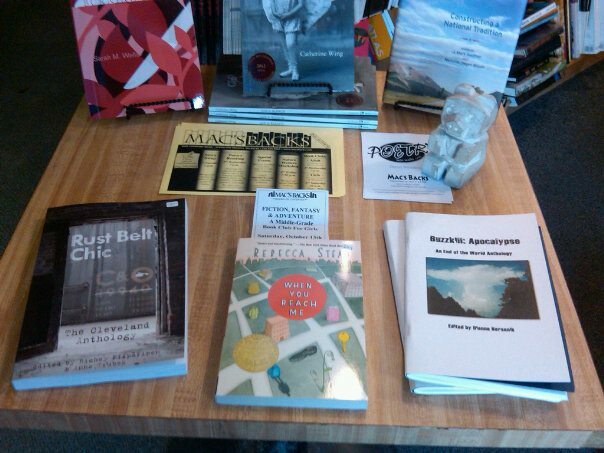 She has also been very supportive of local presses, and has stocked NightBallet Press chaps on a regular basis. 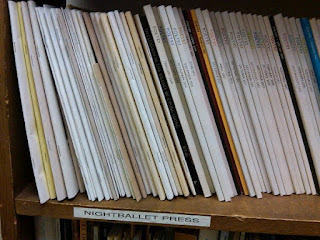 During this past visit to Mac's, the editor/publisher of NBP was delighted and excited to see a shelf of a bookcase (in the back, by the stairs leading to the basement) labeled "NightBallet Press"! There, you can easily find all the NBP titles! 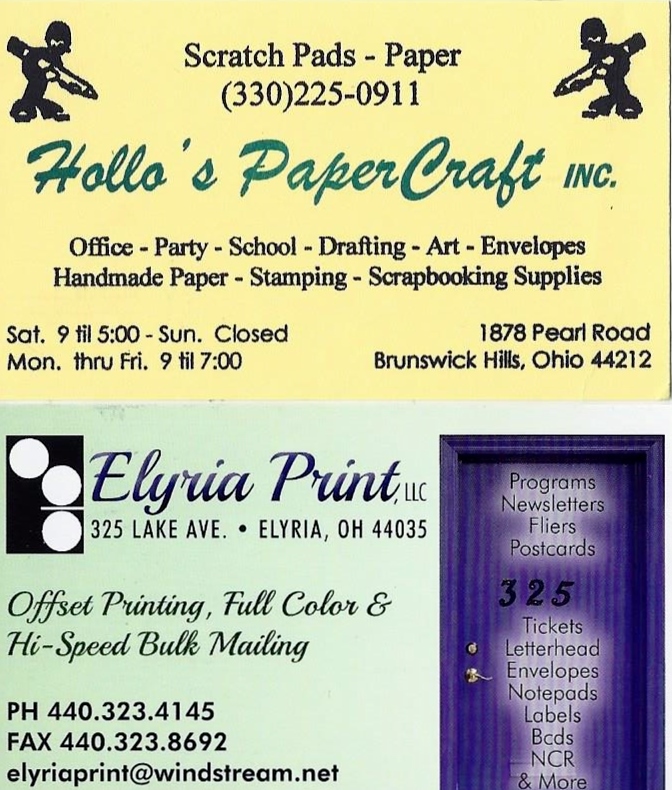 Check it out... and while you're there, check out all the other wonderful offerings that Mac's Backs has. I promise you, you'll find some toothsome tomes within. 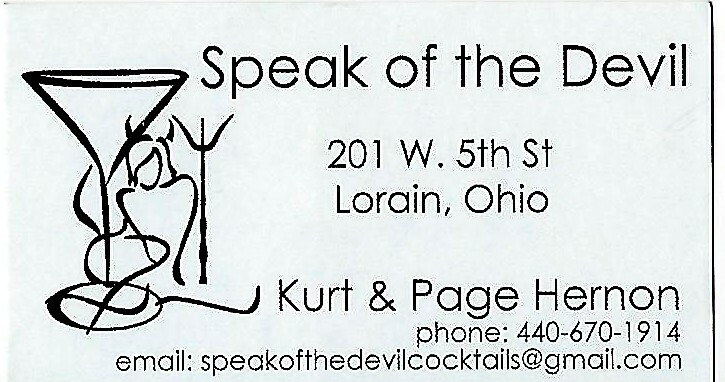 Support your local bookstore! Tell Suzanne NightBallet sent you!